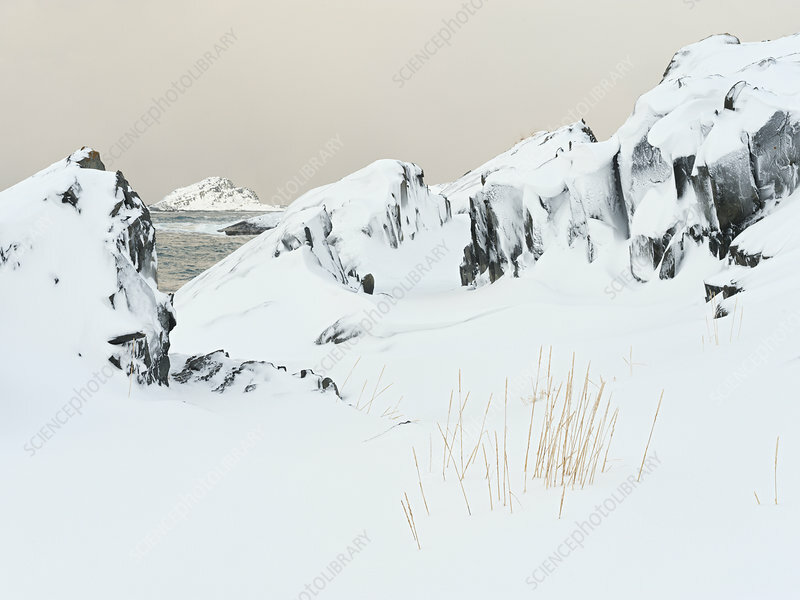 Rock formations in snowy winter landscape. Varanger, Finnmark, Norway. February 2010.